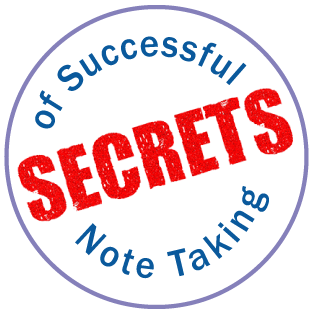 Effective note taking is an essential skill students must learn by the time they reach 9th grade, but unfortunately, many have never been trained. >> Does Your Teen . . .
Only take notes when required to by a teacher? Have notes but doesn’t know how to use them? Copy verbatim from the text book without a sense of what they are actually reading? Take too many or too few notes? 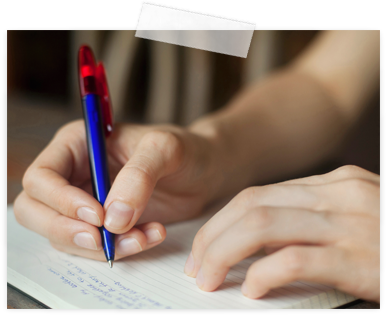 >> We demystify the Note Taking Process By . . .
We arm students with the tools they need to take effective notes. Many students view note taking as merely a chore or ritual, rather than a useful tool to make their reading and class time more productive. This course develops dependable strategies that students can turn to again and again. >> Our Guidance Will . . .